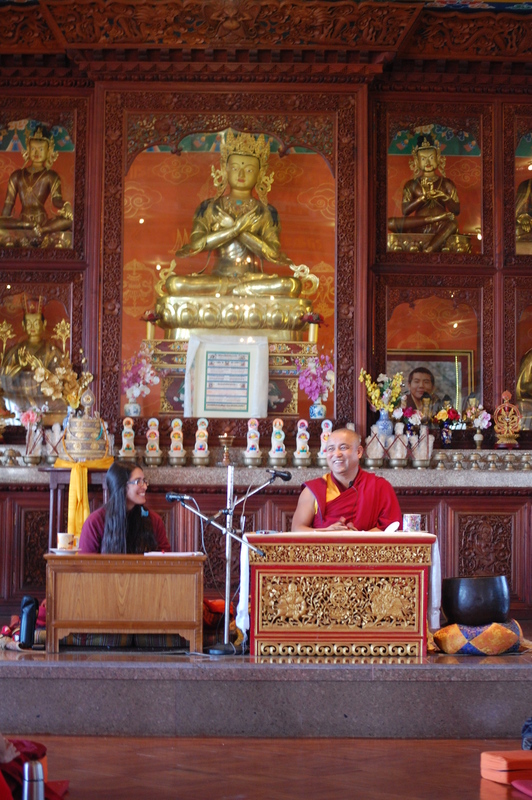 Drupon Khenpo Teaching, Margaret Translating. 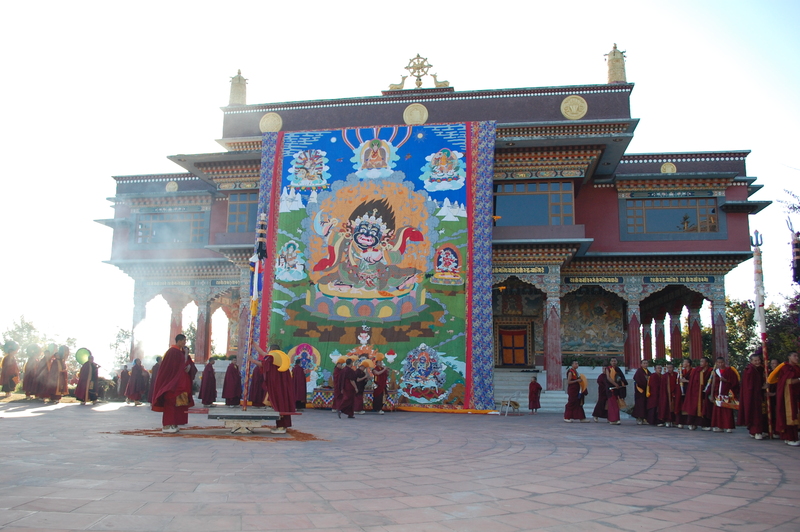 Vajradhara statue in background. talking with friends, meditating or simply passing time. 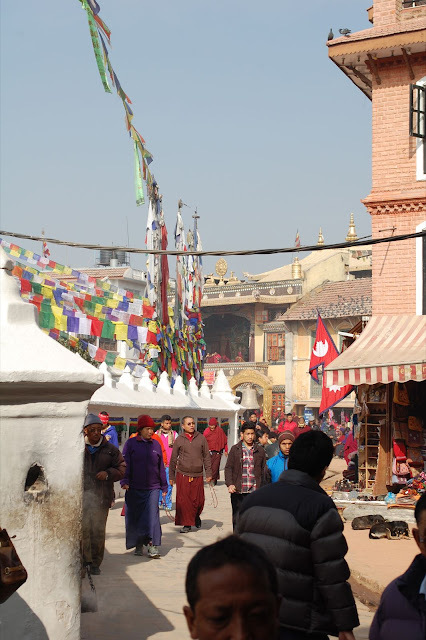 This circular plaza surrounding the stupa, sometimes called the “khorra path”, is lined with shops selling local wares like Buddhist statues, Tibetan thangkhas, incense, jewelry, and shawls. When you emerge from a side street onto the khorra path, one’s natural impulse is to to be swept up in the flow of happy, peaceful energy flowing clockwise around and around. What a wonderful thing to pour oneself into! In 2011, I coordinated travel plans with my mother and her friends Anita & Larry so that we could meet in Kathmandu. I was coming from Bodhgaya & Varanasi while they had arrived days earlier from Delhi and the Golden Triangle. 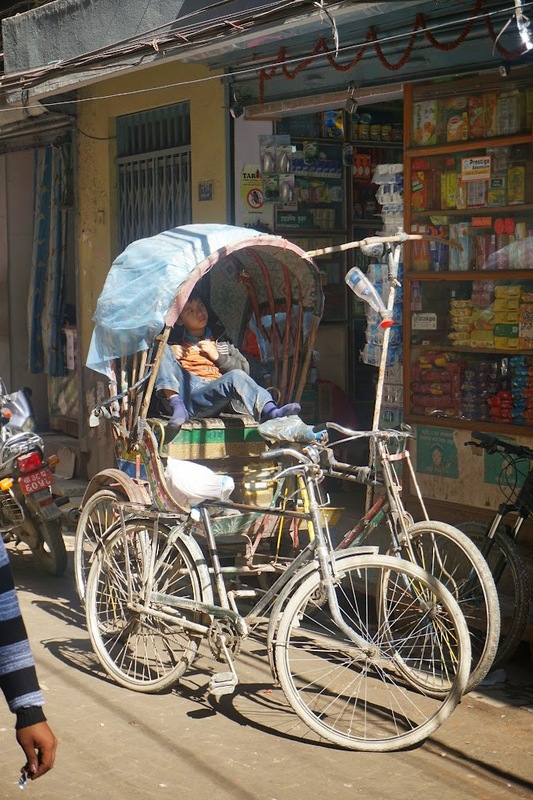 When I arrived from the airport, while walking along the khorra path in search of the hotel where they were staying, I saw my mother emerge from the cicumambulating crowd with a joyful ease that I’ve never seen her embody anywhere else. 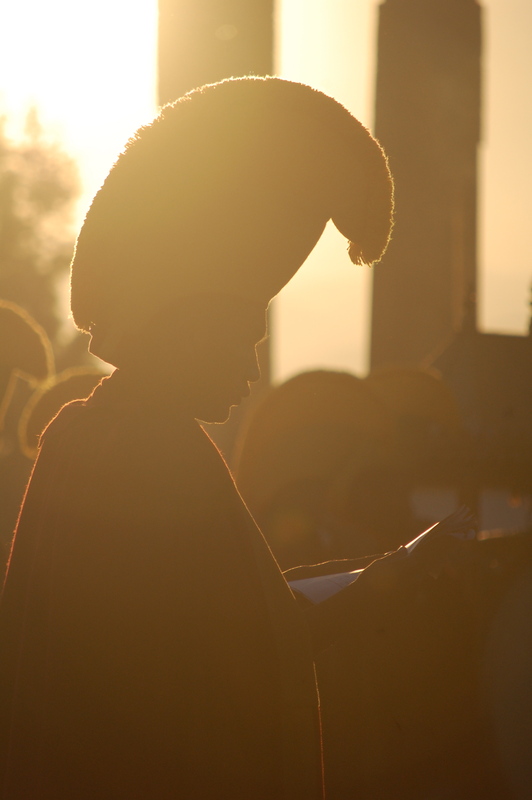 With a backdrop of the sun-dappled stupa and elderly Tibetan ladies counting prayers on rosaries, I saw a lighter, happier version of this person I’ve known my whole life. 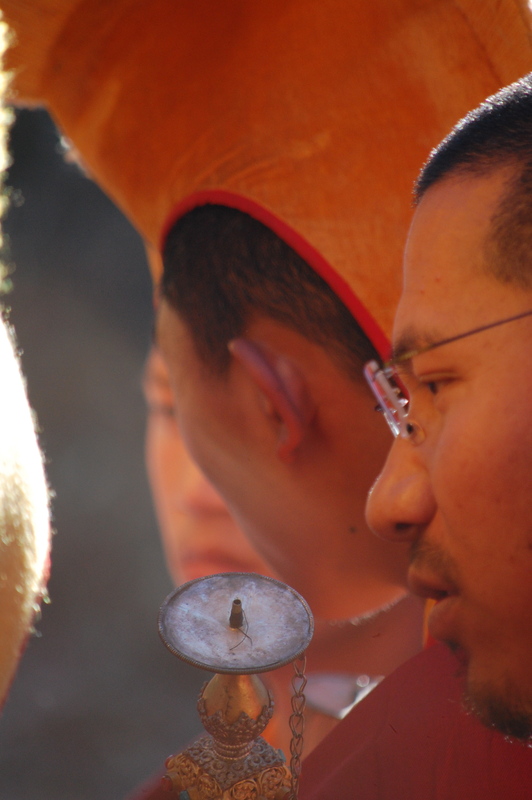 According to legend, the Boudhanath stupa was built in the 5th or 6th century CE. It was begun by an old woman and later finished by her four sons. 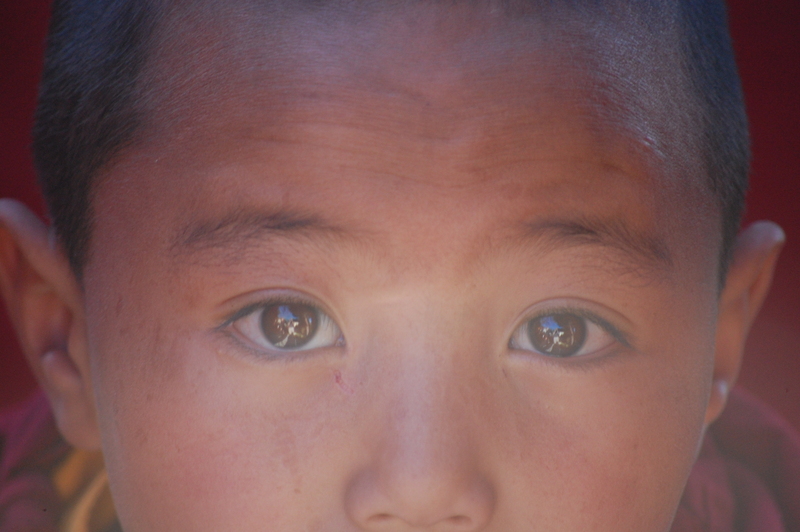 It’s commonly said that the four of them later reincarnated as the Tibetan King Trisong Detsen (tib. ཁྲི་སྲོང་ལྡེ་བཙན), his minister, the Indian pandita Shantarakshita and the great realized master Padmasambhava who together brought Buddhism to Tibet in the 8th century. A lot can be said about Stupas and their purpose. 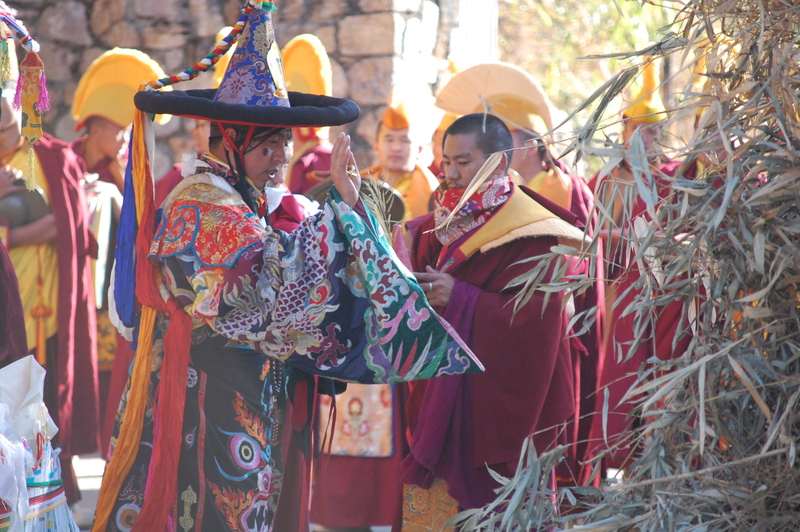 In one sense, they’re said to act like anchors giving stability to Buddhist wisdom and its practice in a land. While that might be true, there’s an inner sense that particularly resonates with me. In Dzongsar Khyentse Rinpoche’s recent book Not for Happiness he talks about stupas as a bold challenge to the belief that spiritual pursuits have anything to do with material practicality. He quotes Patrul Rinpoche in pointing out that those who walk the authentic spiritual path must abandon the idea that you can fix the material world; to believe that the material world can be fixed, even for the benefit of others, is just another kind of material clinging. Building stupas speaks directly to that view, because Stupas have no practical function. They take a lot of time and resources to build and maintain, for what? Many of them don’t even have doors. They’re like a satire of all the foolish worldly projects we pour so much effort into. 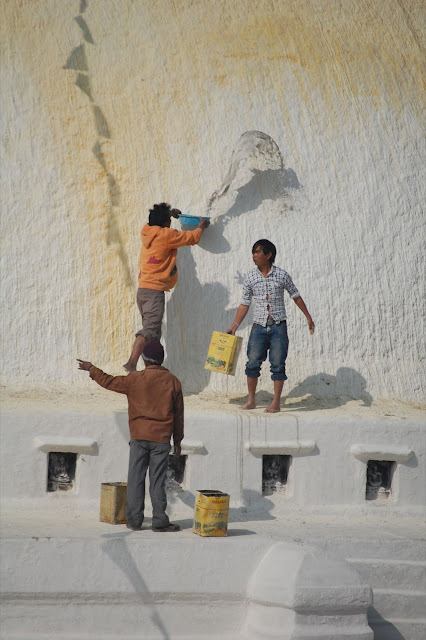 Whitewashing the stupa – maintenance operations are ongoing year-round. So why build them? Because authentic happiness doesn’t come from external things. Erecting and maintaining these odd structures is a substantial investment in the habits and patterns that go beyond hapless participation in the destructive cycles of confused life. It punches a hole in the ordinary rhythms of things so that people might see a glimmer of alternative. Sitting by the Boudha stupa or walking around it today, it’s easy to reflect on the amazing beauty that can come from this kind of project. Nearly 1500 years ago a handful of people put their resources into something that made absolutely no sense from a practical perspective. According to tradition (and plausible given the philosophical & cultural context of the time), they did it because they truly wished to do something beneficial in the world and they believed that the only way to achieve real benefit for oneself and others is to completely abandon all attempts to seduce the world into giving us what we want, to instead scrutinize our own minds and to strip away even the most subtle forms of ignorance. 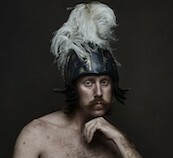 It’s like that seemingly irrational selfless act put a kink in the armor of ignorant existence. Over time, thousands of beings have come across this anomaly in the flow of things and their minds have been changed by it. Each one has added a bit to the system, and taken away other bits. The cumulative effect is manifestly present. Anyone can go there and witness it. In light of all these reflections, I find it interesting that, far from being anti-commerce or somehow divorced from daily activity here, the stupa seems naturally mixed with everyday operations. Rather than condemning the practicalities of life, there’s the air of engaging with and elevating them. Giving up material clinging, even going so far as to let go of the idea that we can fix the world for the benefit of others, does not mean doing nothing. Nor does it mean climbing high on a pedestal and looking down judgmentally at the rest of les miserables. This abandonment is something much more subtle and much more challenging because it must happen in our hearts and minds. Inwardly we have no choice but to abandon material views while outwardly we must constantly seek skillful ways to make the world better: to increate happiness, to decrease suffering, to rejoice in positive qualities and to wash away false differences for all beings. For the next three months I’m living in Kathmandu, Nepal at a Tibetan Monastery called Pullahari. In the weeks leading up to my departure from the US, when people asked me where I was going I would answer “About an hour walk uphill from the big famous stupa with the Buddha eyes.” It felt right to place myself in human-scale relation to a near-mythical Buddhist landmark rather than to simply rattle off the names of a city & country on a subcontinent that most of my friends have never visited. In terms of my decision to come here and the activities that I’ll be immersed in while here, it’s the social, intellectual and metaphorical contexts of this place that relevant. The geography of nation-states is mainly an afterthought. 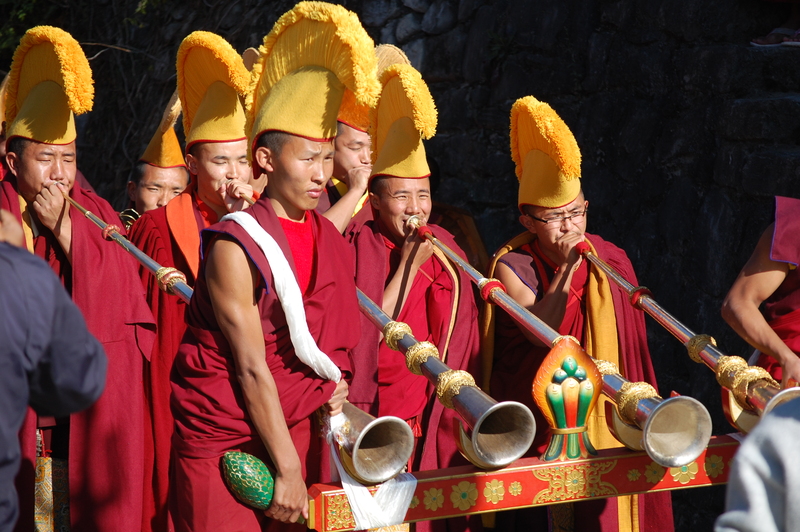 In both Tibetan and Indian religions, there are traditions that view the Indian subcontinent itself as a holy entity. For centuries, people have done pilgrimage to 24 spots spread across the continent that correspond to chakras on a body (metaphorically — it’s not like the feet are in the south and the head is in the north.). Some Hindus view these as corresponding to the body of Shiva while Tibetans associate them with the body of Chakrasamvara — a yidam (tib. 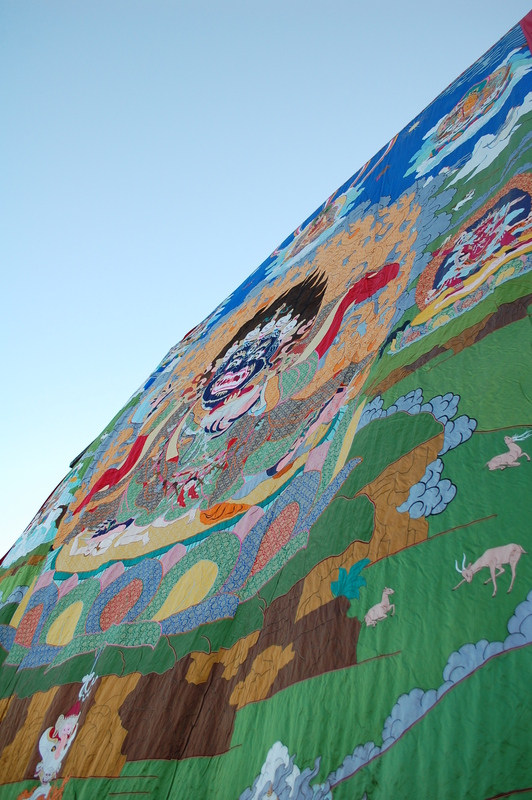 ཡི་དམ་), or representation of mind’s enlightened nature and its capacity to act skillfully for the benefit of beings. 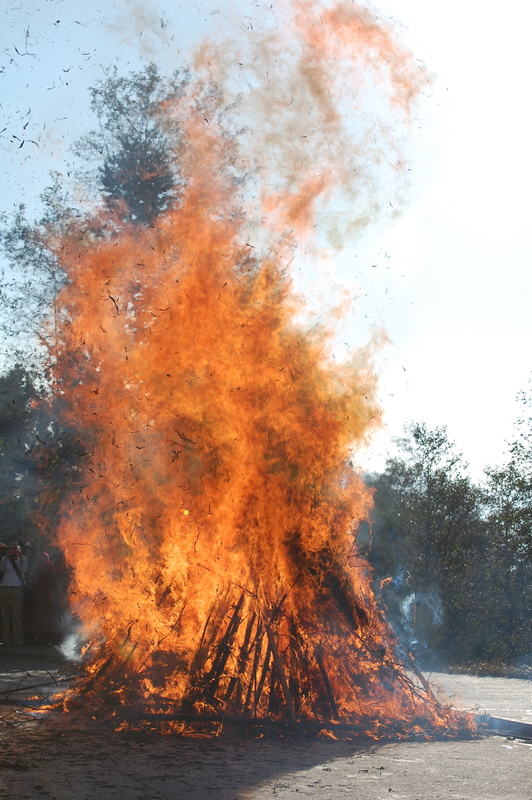 Whether Shiva, Chakrasamvara, or something else, the main thing to know is that the physical place is seen as being spiritually alive in ways that are almost completely foreign to anyone living in the modern post-industrial world. I point this out because, while the political geography of this place seems almost irrelevant to my current sabbatical, the physical place itself naturally plays a prominent role. 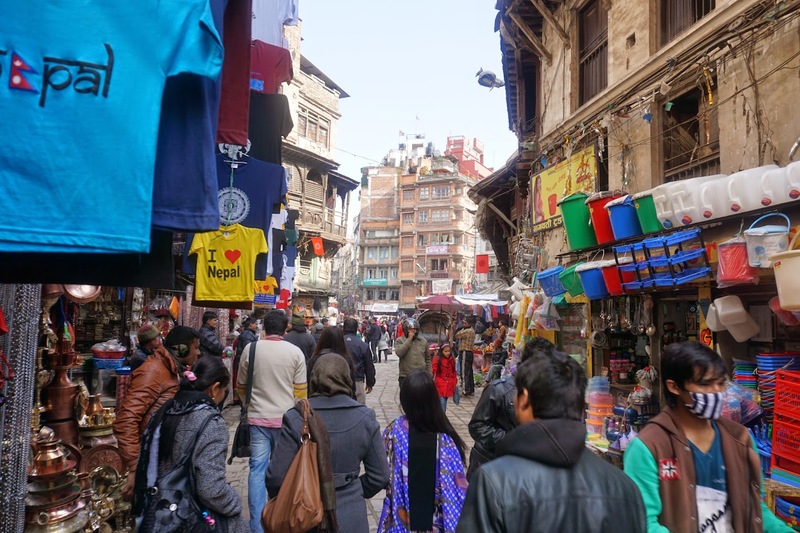 The city of Kathmandu sprawls through the northern two thirds of Kathmandu Valley. The lowest point in the valley is roughly 1500m (4,000 ft) above sea level and is surrounded by peaks that are about 2000m-2600m (6,500-8,000 ft). Beyond those peaks are the actual snow-covered mountains, ranging from 3.500-6.000m+ (10,000-18,000ft+). 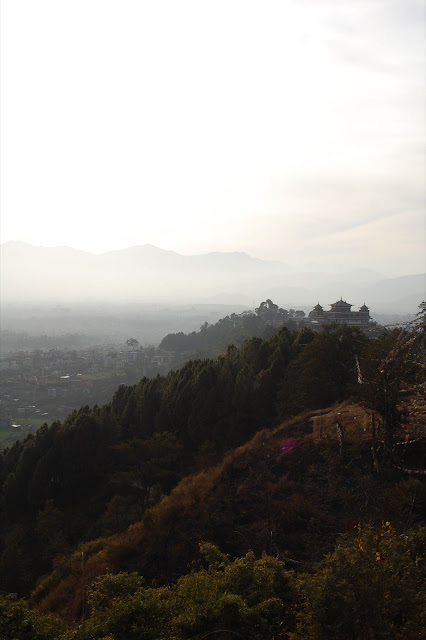 The part of the city that was once the ancient kingdom of Kathmandu occupies the northern half of the valley. It’s flanked by two prominent hills, each with an ancient giant stupa on it. 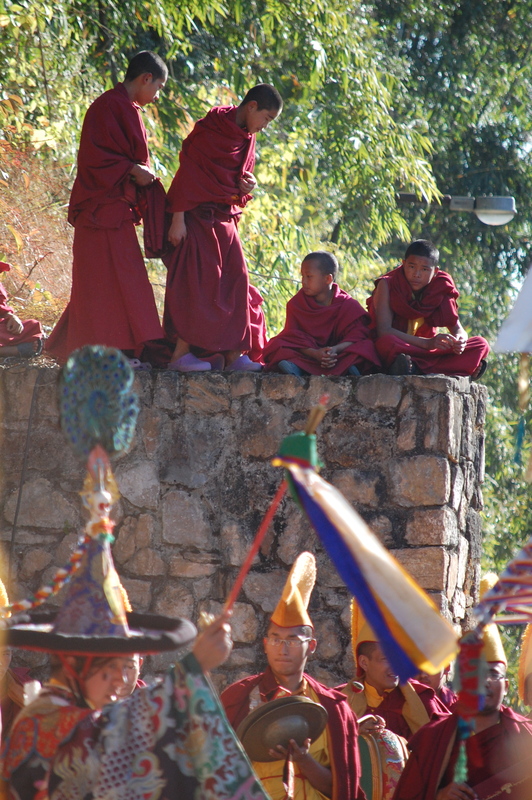 In the west is Swayambunath, which is sometimes called the “wrathful” stupa. In the east is Boudhanath, which is the stupa you’ve probably seen on postcards, in storybooks, and in ads for trekking adventures. There’s a photo of Boudhanath in the early 1970s that gives you a sense of how much has changed in the past 40 years. It shows the stupa and a few buildings surrounding it. Beyond that, there are only fields and the occasional monastery. Now, there’s barely a field to be found between Boudha and the mountains that ring the valley. What fields remain stand out as emerald terraces, worked using agricultural methods that have been stable for generations. If you face northeast at Boudhanath with the stupa at your back and walk uphill for roughly half an hour, you’ll find yourself on a hillside below Kopan Monastery, main seat of Lama Zopa Rinpoche and the Foundation for the Preservation of the Mahayana Tradition. Continue around the bend and up the hillside and you will arrive at Pullahari, seat of His Eminence Jamgon Kongtrul Rinpoche and the location of Rigpe Dorje Institute. For the past 15 years or so, Pullahari has hosted a 3-month long study program for westerners, often referred to as “the winter programme”. 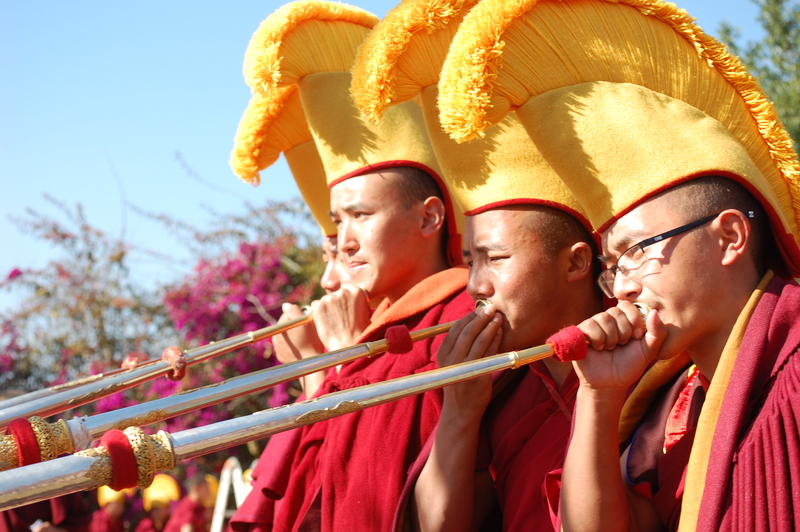 It was initially started by Khenpo Tsultrim Gyamtso Rinpoche as a way to train his students to be skillful translators of the meaning contained in Tibetan Buddhist philosophy. 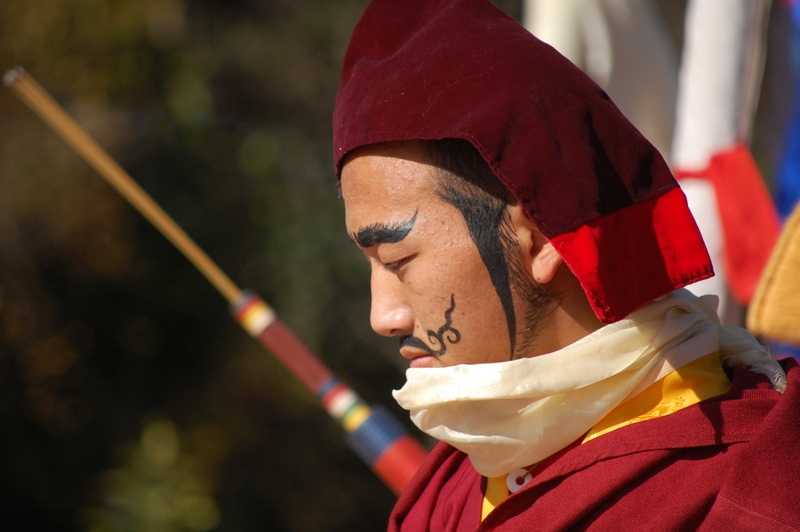 Khenpo Tsultrim is famous for many things and I would love to write about all of them. 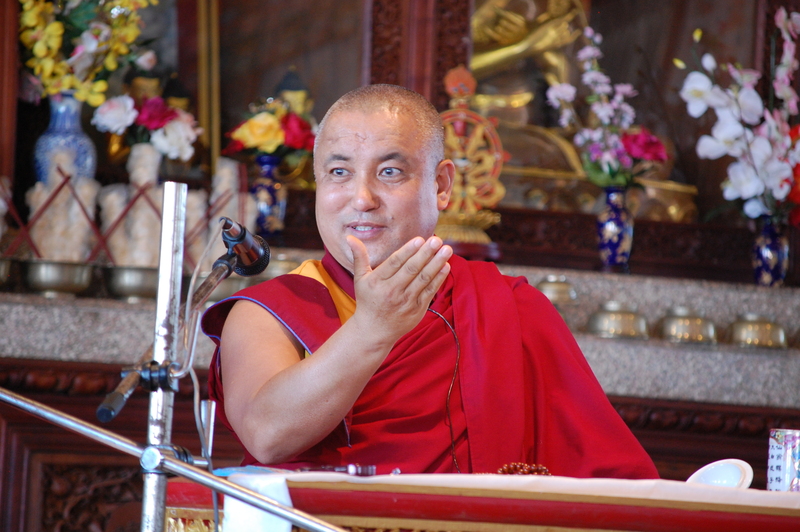 For now, suffice it to say that he is one of the greatest living masters of the Kagyu Lineage, a true wandering yogi, and also one of the top scholars of the Kagyu Lineage. He’s particularly famous for his presentation of madhyamika prasangika (Middle Way Consequence School) according to the Shentong view. The best place to find more information on Tibetan Buddhist philosophy as presented by Khenpo Tsultrim is in his book Progressive Stages of Meditation on Emptiness, which was arranged and edited by Shenpen Hookam. 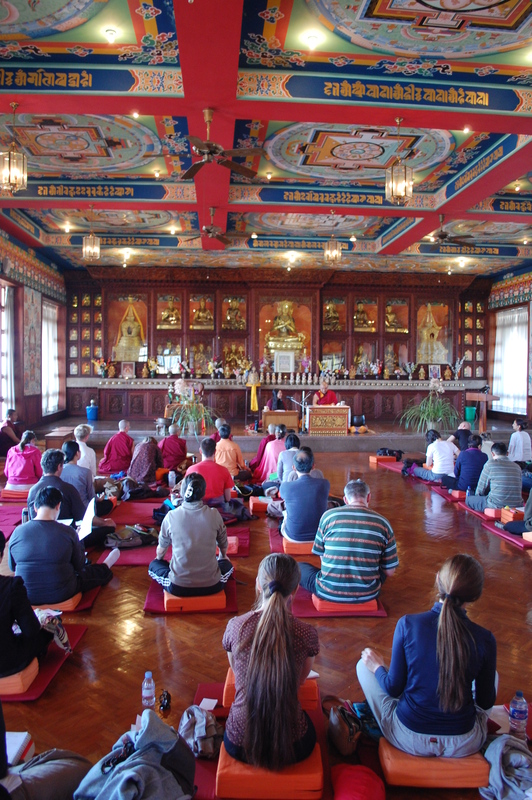 Every year, the structure of the Rigpe Dorje winter programme at Pullahari is the same – two months of intensive study focused on Buddhist philosophy and Tibetan language, followed by a week-long break and then a two-week meditation retreat focused on that year’s philosophical content. In the past, they structured the curriculum to work through one chapter of Shantideva’s Bodhicaryavatara each year, culminating with the 9th chapter on precise knowledge (tib. ཤེས་པ་ shepa). Recently they’ve switched to a 5-year cycle that instead works more explicitly through the various historical Buddhist philosophical schools, but still climaxes in year 4 (that’s this year) with Shantideva’s presentation of (rangtong) madhyamika prasangika in chapter 9 of bodhicharyavatara and then concludes in year 5 with a presentation of Mahamudra and the shentong view. Pullahari is a beautiful place full of flowers, spectacular traditional Buddhist art, wonderful architecture, monks chanting pujas, and scholars scrutinizing the patterns of mind. 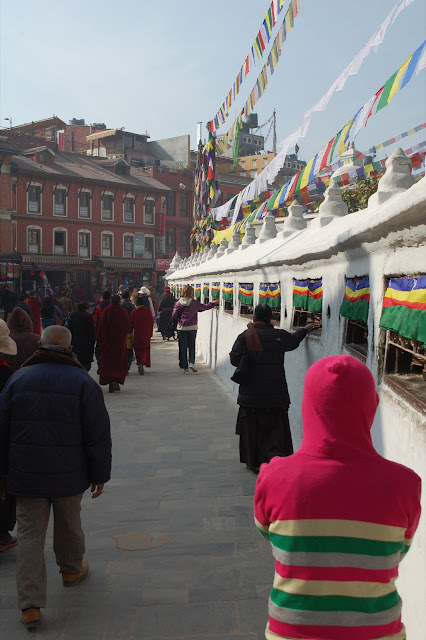 Situated on a mountain top above Boudhanath and Kathmandu, it has expansive views on three sides. It’s the ideal environment for combining meditation with scholarly discipline. Hopefully I will have the opportunity to write more about this magical place and share more of the photos I’ve taken. 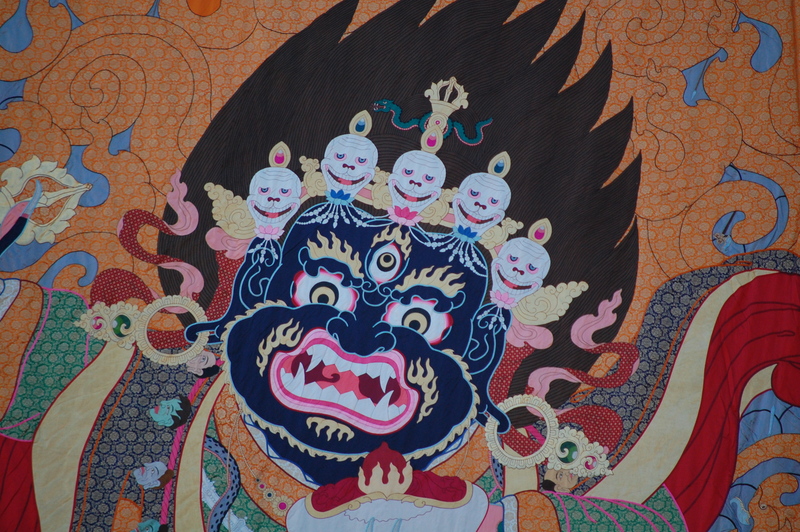 In 1999, Khenpo Tsultrim Gyamtso Rinpoche composed a song about Pullahari. We sing an english rendition of it every morning at the opening of the first class. View to the west from roof of Pullahari shrine hall.